It’s been over 7 years since my last visit to Stockholm. I had such fond memories during a short to this beautiful northern city in 2011 I knew I would return some day to explore a little more. We had 3 days to spend in this ‘Venice’ of the North as it’s widely come to be known. Since we arrived mid afternoon our main agenda for our first night was just settling in and finding a nice restaurant to eat in. Priorities! We debated for a while at the airport on how to get to central Stockholm, there are so many ways. Quickest and most convenient of course is a taxi, whether official Stockholm taxi (the most expensive way) or other companies such as Uber or MyTaxi (available as apps, with the convenience of taxis but not the high premium). Then there’s also the Arlanda Express train, which is a 20 minute train transfer to Stockholm Central Station, and there was also coach options with Flygbussarna airport coaches which are reasonably priced and just a little longer at 35-40 mins transfer time to central station. In the end, we went for the Arlanda Express train, then from there decided to try and navigate our way to the closest station to our Hotel Rival via the Stockholm Metro. Fast forward 20 mins and in tow with lots of bags and a suitcase, not very much patience and not the will to try and figure out the Stockholm metro (which to be honest is actually very easy and well organised) we ultimately grabbed a MyTaxi from central station to the hotel, a little redundant I know. The weather wasn’t too great when we first arrived, and in fact visibility was so poor due to fog could barely see the status in the park just in front our Hotel Rival. Probably for the best that night as all we felt like doing after a long day of travelling was finding some grub and settling in for the night. TripAdvisor app at the ready, we decided to eat at a nearby Greek restaurant called Esperia, just a short 5 minute walk from our hotel. The food was delicious and all came out pretty fast. 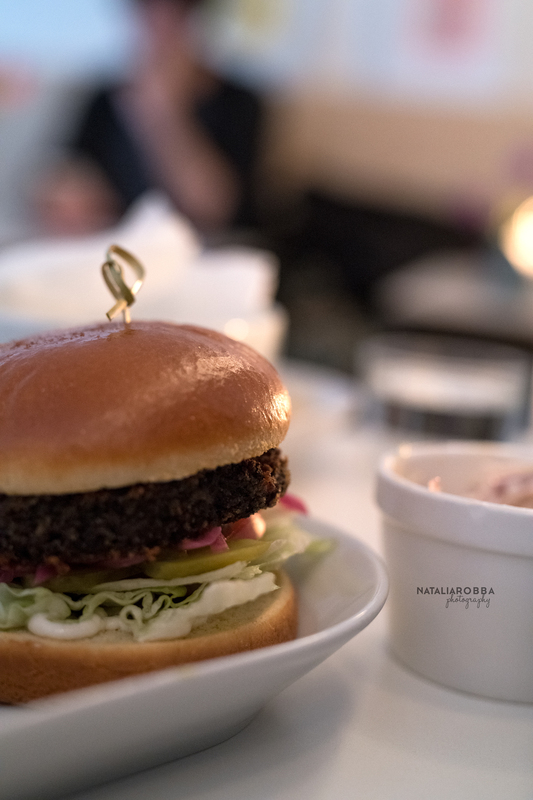 Admittedly, there were not that many options for vegetarians and one of the few options available to me was a grilled Halloumi burger. I am 99% of the time dairy free, that 1% being on my travels, so made the very most of this rare delicious treat. It was a pretty early night for us after that, it had been a long day so we decided to get some rest for a full day of exploring tomorrow. 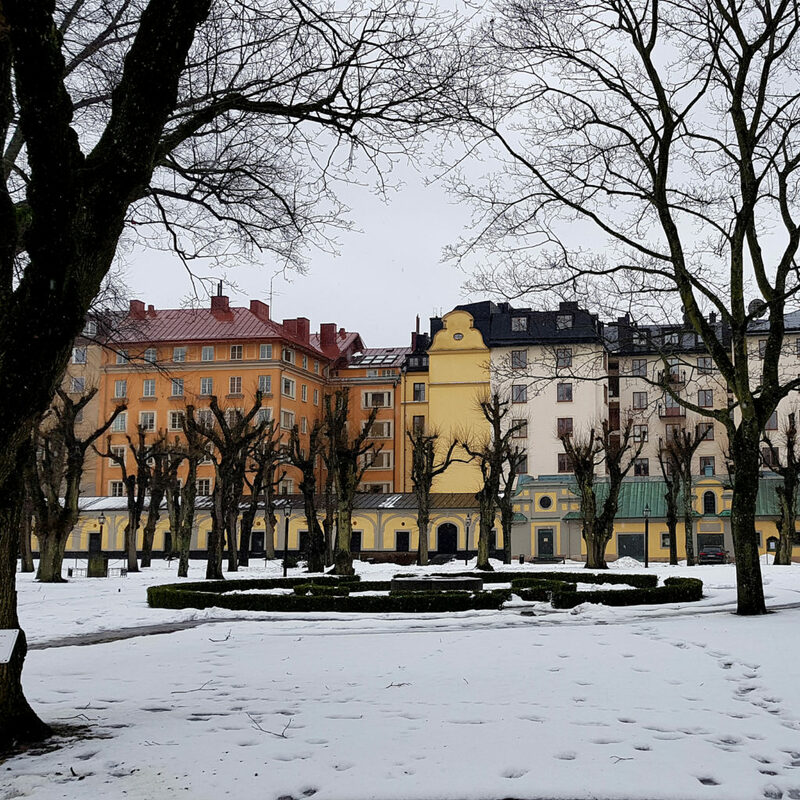 We awoke to a much clearer, brighter Stockholm the next morning, with a gentle snowfall over the white laden park just in front of our hotel. Which while not the best for long periods of walking about, only added to the beauty of the picture postcard winter scene at our doorstep. Rested and about to head off to breakfast, we could much better appreciate the little things, especially at the hotel. The hotel itself was a beautiful boutique hotel, which looked like an old theatre refurbishment that had successfully managed to retain its charm, in fact it seemed the hosted regular theatre shows which seemed pretty popular! We came to discover Hotel Rival is one of the oldest hotels in Stockholm, based in the Sodermalm district it was well placed for us to explore all the best offerings in Stockholm. The rooms were clean, modern and very comfy. 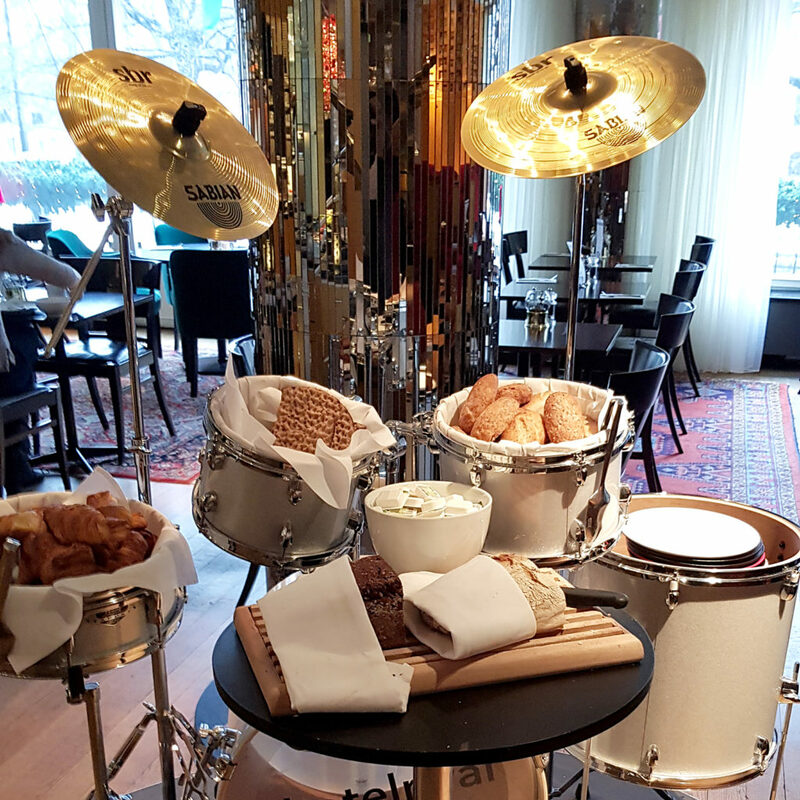 At breakfast the next morning we were presented with a cute dining area, cleverly making use of musical instruments to serve breakfast foods on! 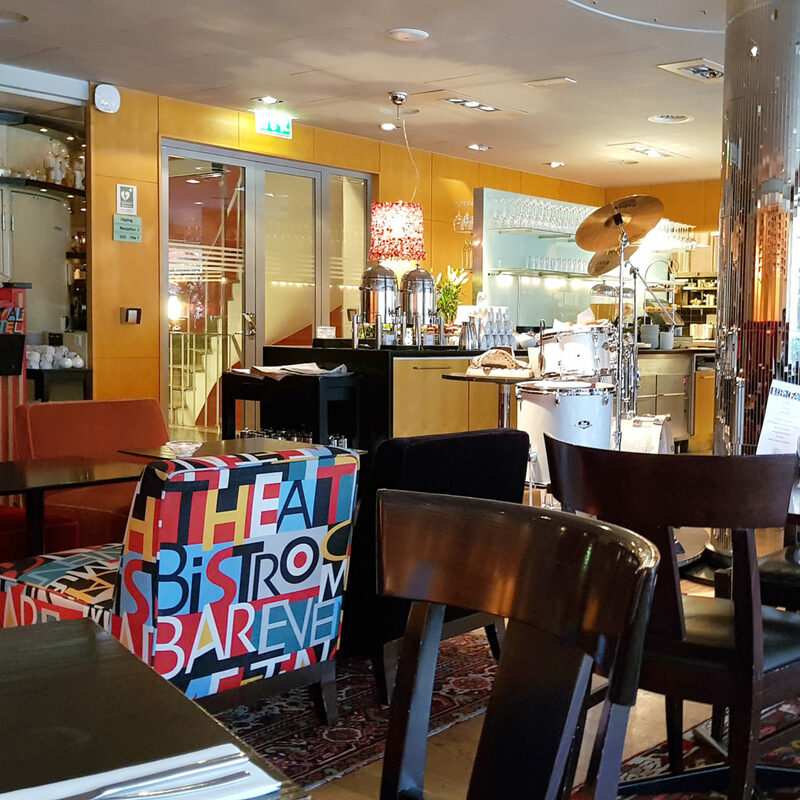 The staff were friendly and it was a welcome surprise to find you could order additional foods such as omelettes, oatmeal, pancakes off the a la carte menu at no extra cost. I love love love scrambled eggs, but unfortunately found the scrambled eggs on offer at the buffet not only way too runny for my liking but also powdered (which seems to be the case for so many hotels these days). My partner tried the boiled eggs, but on trying to remove the shell one of them actually ‘popped’ causing runny yolk to literally explode on her sweatshirt cuffs. It was funny for a few seconds, before it wasn’t. So basically I gave the pancakes and omelette a try from the A La Carte menu. Sadly, I feel for us it must have been a bad couple of days for the chef, or perhaps a new chef was temping? I don’t know, either way we were quite disappointed as both dishes were very heavily doused in vegetable oil. Now, as a frame of reference, I’m pretty easy going, so when I say doused with vegetable oil, I mean the pancakes and eggs could have easily been slingshot across the room with a little whip of the wrist, it was quite bad. Not wanting to seem ungrateful at these free a la carte extras, I doused the pancakes in copious amounts of strawberry jam to hide the vegetable oil flavour, this actually worked, however I just couldn’t eat the omelette. It’s a shame, and I suspect this is not the norm as the hotel has great reviews for breakfasts, I think we just got unlucky. After breakfast we were fueled and ready to explore the city! With the weather forecasting sunny periods for the following day, we decided to go for indoor activities and would visit the famous Vasa museum today. 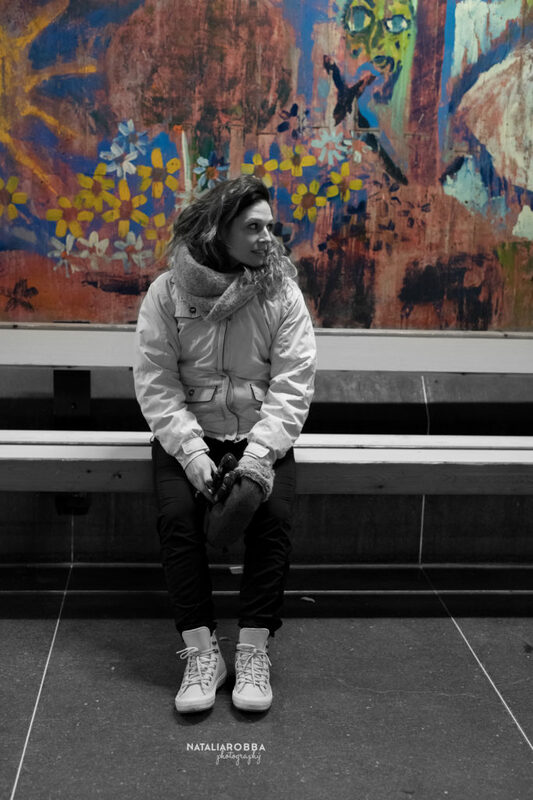 This was our first real experience at getting around Stockholm and we decided to give the Stockholm Metro another go. We purchased an SL 72hr card which granted us unlimited use of the metro for our stay. The Metro is great! Not only is it efficient and simple to navigate, but the vast majority of the stations are all works of art in themselves, with beautiful ceiling rock formations, wall and ceiling art, photography and other art pieces adding to the beautiful eclectic nature of these underground caverns. We took the line from Mariatorget station, over to Kungstradgarden (Royal Garden) the nearest Metro to the Vasa museum. We later discovered we’d have been dropped off practically at the Vasa’s doorstep if we’d opted for the Buses instead, but hey it was all good fun making our way around. So after a short walk from the Kungstradgarden metro station, we arrived at the famous Vasa Museum. First impressions on entering the museum are the sheer size and beauty of this impressive albeit doomed 17th century Swedish warship. The Vasa was initially ordered to be built by King Gustavus Adolphus in preparation for the war on Poland-Lithuania. 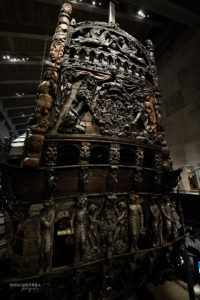 The entire ship is built of massive Oak beams and intrinsic wooden sculptures made of Oak & Pine ranging from Lions heads, Swedish warriors, grotesque and fantastical creatures such as Mermaids, Gargoyles & Tritons, to Swedish Royalty. 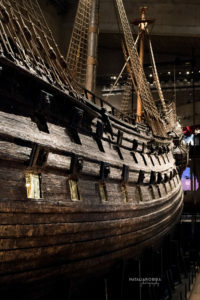 Though the colours have long washed out due to spending over 300 years beneath the surface of the Stockholm harbour waters, modern technology has allowed scientists to recreate colour models for the Vasa, revealing the most beautiful and vibrant array of natural colours on all of the sculptures adorning the ship. 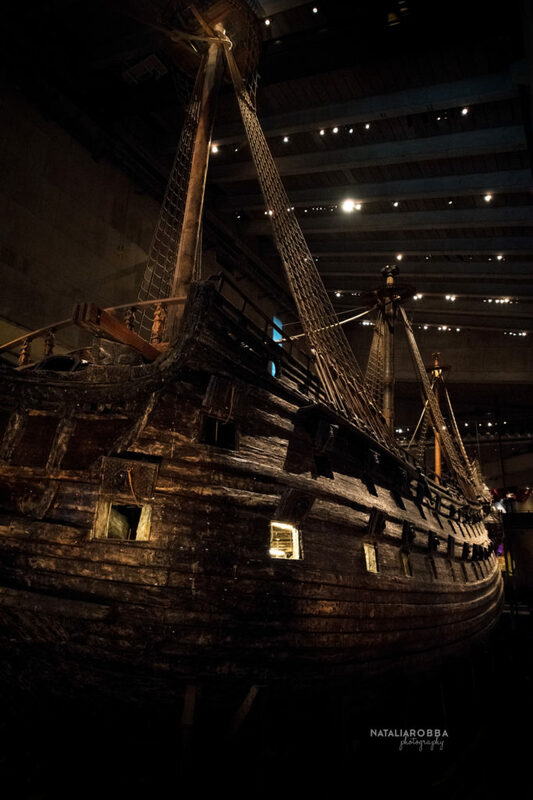 This beautiful fated ship sank on 10th August 1628 just over 1000m outside of the Stockholm Harbour, this due to a massive design flaw where there wasn’t enough ballast to keep the top heavy Vasa afloat when heavy winds hit on leaving the harbour. The ships centre of gravity was apparently too high up, and it could not sustain the high winds during its maiden voyage. The ship began to list, then began taking in water via the windows near water level. It is said that the Captain Söfring Hansson ordered the lower gunport doors to be closed as the Vasa began to list, but sadly this order was given too late. Had it been done earlier, it is thought the Vasa would have righted itself and probably would not have sunk. 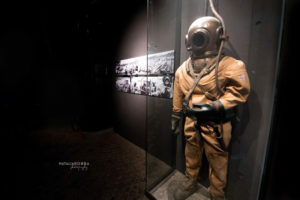 In 1961 333 years later, it was finally salvaged thanks to more modern technologies (and 100kg suits in the picture below), though sadly over 15 bodies were found in the hull. Apparently it is one of the most well preserved ships ever recovered! 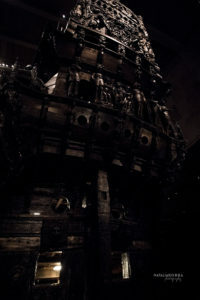 It really is an impressive sight, and the museum has many interesting exhibits and tales about the fated Vasa. 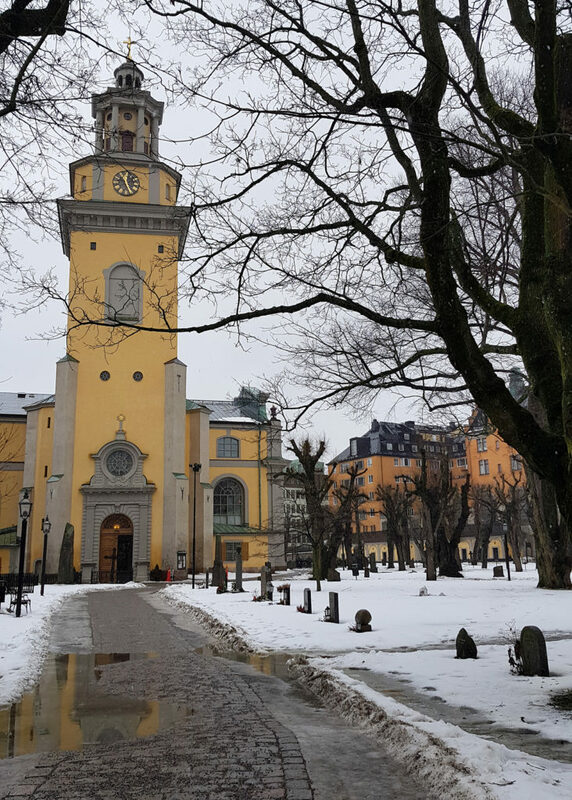 Well worth a visit when you have a few hours to spare in Stockholm. 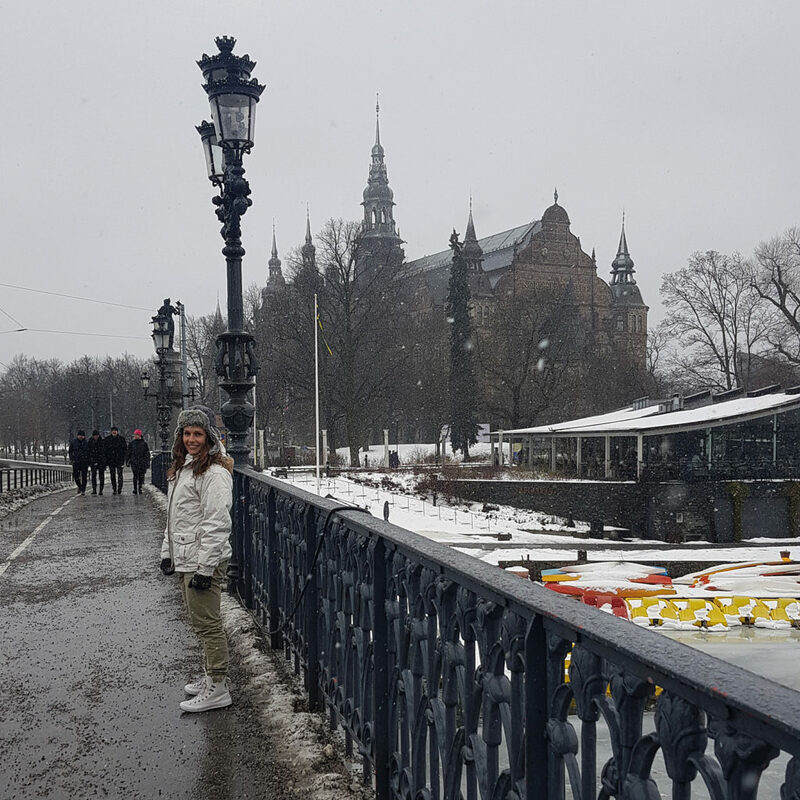 On our last day in Stockholm the weather wasn’t too good, so we decided not to visit the Skansen outdoor museum. 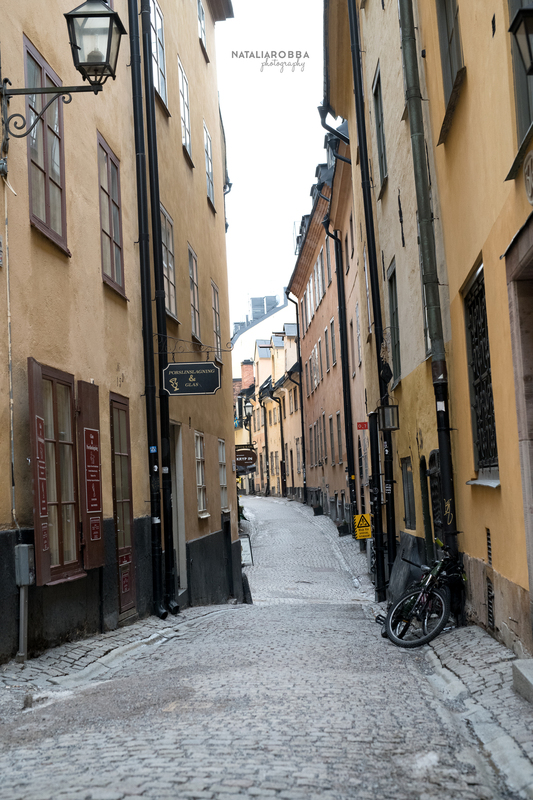 Instead we ventured into the Old Town area of Gamla Stan, which is not only the oldest part of Stockholm but one of the best preserved medieval centres in Europe. 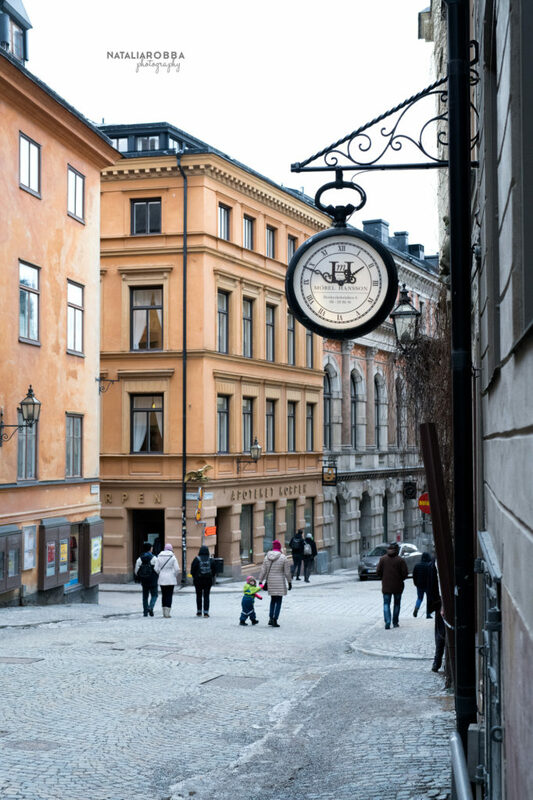 Infact, Gamla Stan is where Stockholm was founded in 1252 by Birger Jarl. Can you imagine? I can’t even comprehend that time frame. I would love to get a glimpse into that age. 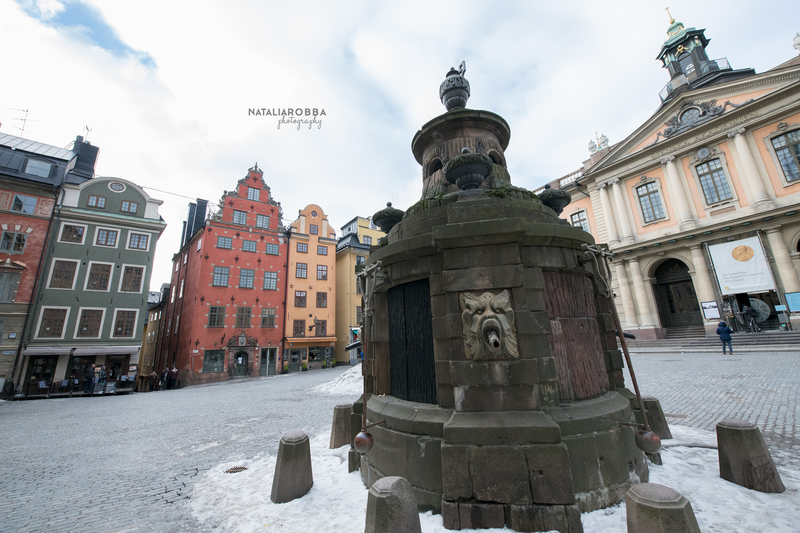 Did a little digging into the history of Stockholm and it is believed initial fortifications were first built by way of a castle in the middle of the 13th century on what was considered an advantageous location, which blocked off the water passage between western Lake Malaren and the eastern Baltic Sea. The resulting castle was known as Tre Kronor. Just 100 years after the castle was built, this area become one of the most populated in the area. After a historical bloodbath in 1521 in the area known as Stortarget (the square pictured below) in which the King Christian II killed more than 80 of the leading members of Sweden and buried their necks in the well, Sweden broke its union with Norway and Denmark. Stockholm then became the capital of Sweden in 1634. Sadly, in 1697 just over 400 years after Tre Kronor castle was constructed, a massive a massive fire broke out devastating the grounds. The castle’s reconstruction was completed in 1754 as the currently standing Stockholm Palace in Gamla Stan. 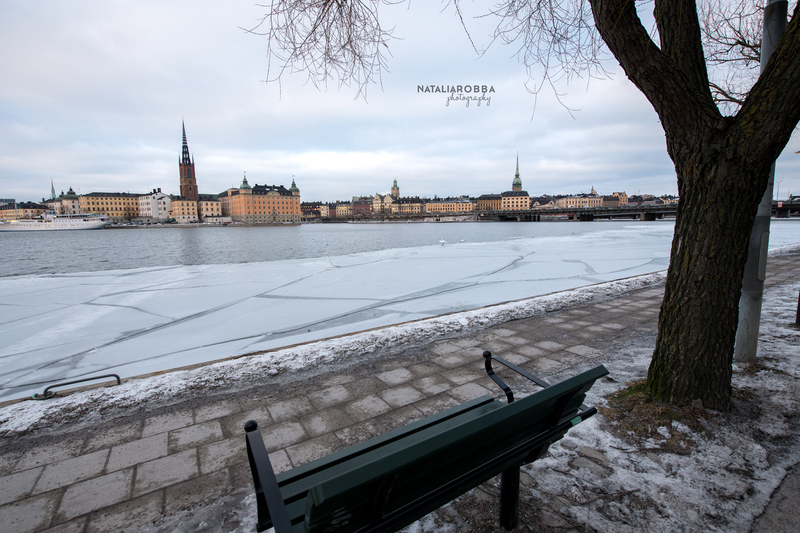 Today, Gamla Stan is a small island borough, connected to surrounding major boroughs of Sodermalm, Ostermalm, Normal, Kungsholmen via small bridges. It is a beautiful little borough full of cobbled streets, charming architecture and nestled with plenty of restaurants, cafes and shops, all retaining the old towns historic charm beautifully. 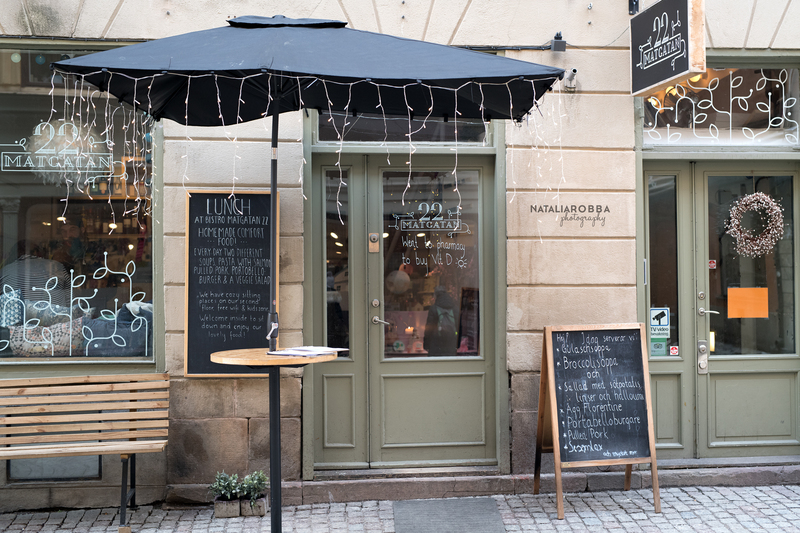 We stopped off at a cute place called Matgatan and it was a really nice surprise! Stepping into this quirky little cafe was a welcome respite from the cold outside (cold by southerner standards). The cafe itself was cozy with a few tables on ground level, and a mezzanine level with a few tables and cushioned benches. I had a delicious vegetable soup topped with vegan cheese, and a scrumptious portobello burger with homemade chips. 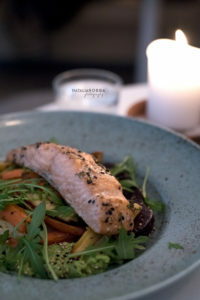 Rach went for Salmon fillet and veggies. 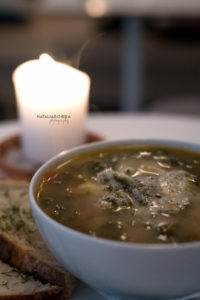 The food was so homely and was just what we needed to warm up and brace for the cold again. We spent the rest of the afternoon walking around at a leisurely pace, with no particular schedule or plan in mind, and then of course it was dinner time, we opted for Lebanese restaurant in Mariatorget on our final night in Stockholm. We weren’t too worried taking it easy to be honest, we had another day of travelling tomorrow heading up to Kiruna for the second leg of the trip and another short little Aurora Borealis hunt! 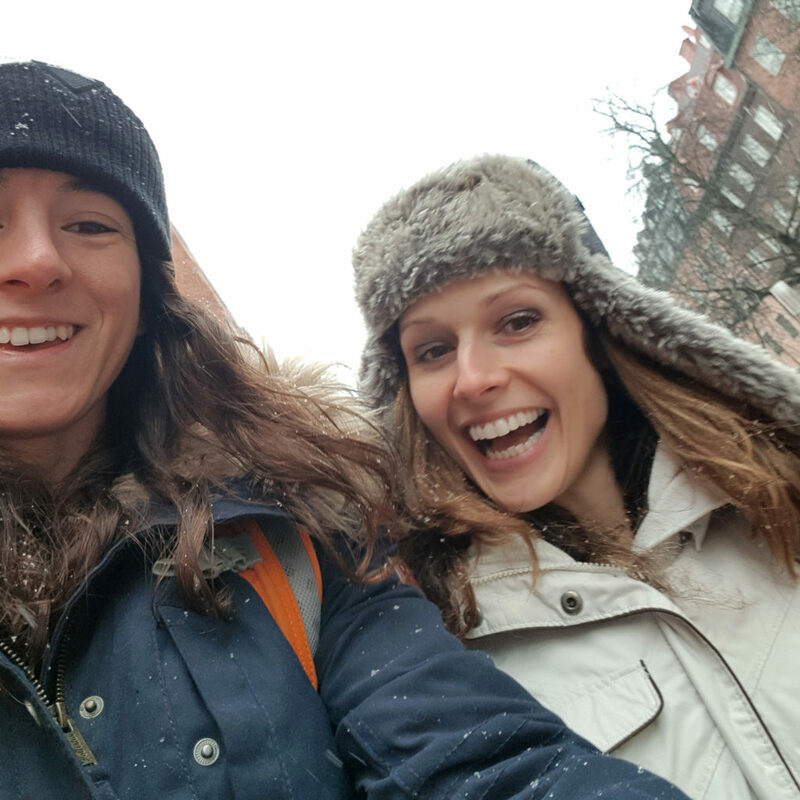 All in all, while we weren’t that lucky with the weather this time around, we still thoroughly enjoyed our short stopover break in this Venice of the North. Though as with anywhere in the world, a little bit of sunshine and more favourable lighting would have made a world of difference to this beautiful northern city.